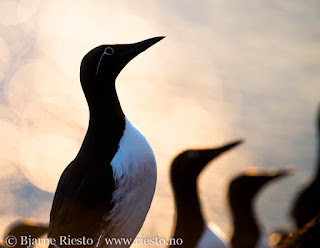 Do you want to make those awesome seabird photos that attracts admiration from your friends and other photographers? 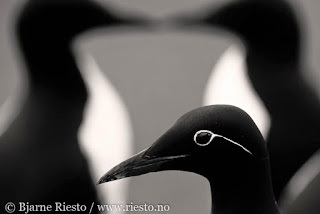 Knut Sverre Horn and Bjarne Riesto invites you to participate our workshop at Hornøya. 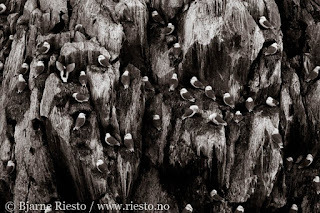 Perhaps the best place in Europe for photographing Guillemots, Brunnichs guillemot, puffin, shags, seagulls and more. Here you have all the species right in front of you. In addition you will experience a lot of fresh air, exciting weather, meet nice people and maybe see the northern lights. 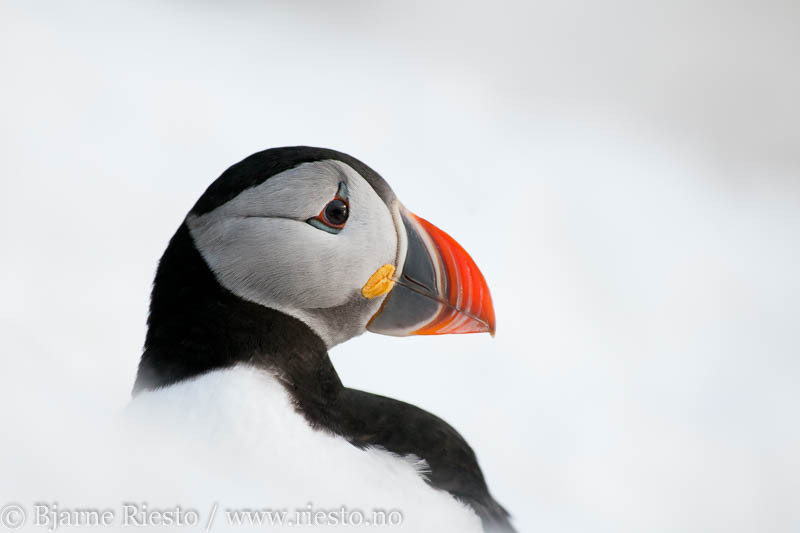 Most people visiting Hornøya do so at summer, but at the time for our workshop it is still winter conditions. 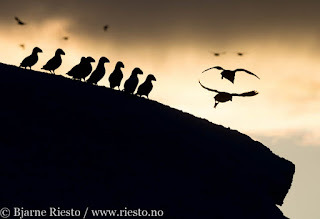 That means you will come home whit pictures that few other people have in their archives. The workshop lasts from Thursday till Sunday. During the days we will share our experiences, give you information about the birdlife and surroundings, and of course give you the useful tips how and where you get the best shots. After a long day outside we enjoy a good meal made by the best of chefs, we have a nice chat, show you pictures, and you are of course welcome to show your results from the day if you like. 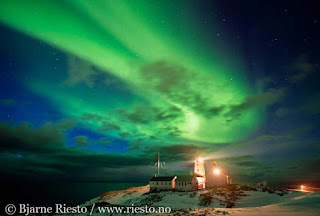 Or you can go outside for the night shots and northern light. 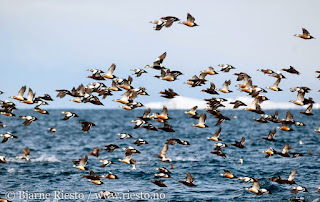 If the weather permits we will also go on a boat trip searching for the large congregations of king eider and stellers either that usually are in the area. There are two workshops. The dates are 17-20 of march and 31 march – 3 april. The price are 4990,- NOK and includes transportation to the island (from Vardø), all meals, accommodation at the lighthouse and boat trip. 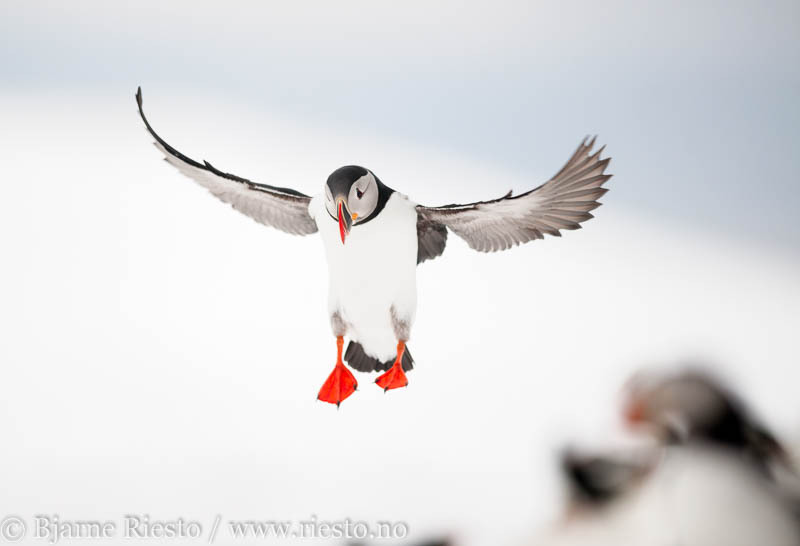 Vardø has an airport, and you can fly all the way, but you have to arrange that for yourself. Of course we can help you to find the best connections, and we will answer all your questions best as we can.